A friend greeting Prof. Bhatia on his 84th birthday. 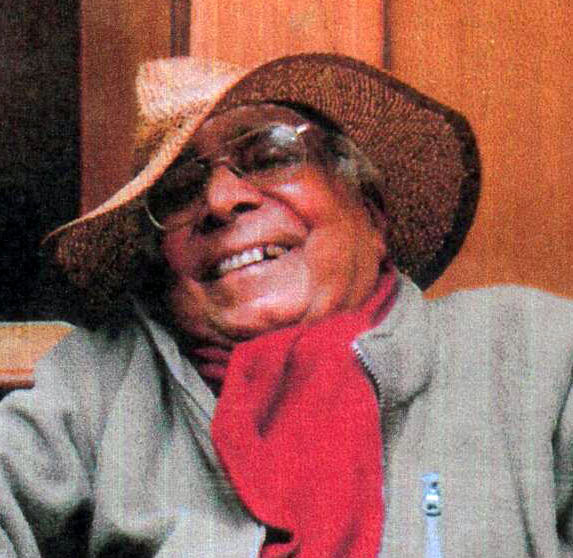 There is so much of youth in Prof. Bhatia – the 84-year-old young man. No wonder, his friends arrange his each birthday with gusto, some of them even aspiring to learn the tricks he plays with life. But, every time Prof. Bhatia dodges their queries, leaving all at sea. I am lucky, as he recently budged to my persistent quizzing. No. There are so many things other than these which keep Prof. Bhatia erect. He is a fantastic human being and an out of this world poet. A good chess player too and a veteran footballer, though he played almost all indoor and outdoor games in his youth. To me, he is an invaluable friend. I have always seen him smiling, and extending his scrawny right hand to all who choose to wish or ignore him. Born at Dera Ismail Khan, Pakistan, Prof. Neb Raj Bhatia migrated to India a couple of months before India became independent. Starting from the scratch as a typist, he got himself educated in French, Spanish, German, Italian, Portuguese, Urdu and Persian besides doing his B.A. with French and M.A. in English Literature from Punjab University Camp College, New Delhi which took him to various countries across the globe. He got First Rank in an All-India Competitive Examination for selection of French Translators held by UPSC in 1955, joined in that capacity DGP&T, New Delhi and in the following year, i.e. 1956, he was awarded a two-year scholarship to study Spanish Language and Literature and went to Spain where he also studied Portuguese. On his return to India in 1958, he followed courses in German and Italian. In 1959, he was deputed as a part-time teacher to teach Spanish at Bhartiya Vidya Bhawan, New Delhi. In 1963, he established Diploma Course in Spanish at Delhi University and also taught French and Spanish at Indian Institute of Foreign Trade, New Delhi. He taught these two languages for five decades. Lately, at the age of 80 years, he has done a diploma Course in Persian at the Iran Cultural Centre, New Delhi. Again in 1969, he stood First in a competitive test for French-English translators held by the International Bureau, Universal Postal Union, Bern (Switzerland) and went to Tokyo to work for 45 days during the sessions of the XVI UPU Congress. Before his voluntary retirement from government service in 1977, he worked as a simultaneous and consecutive interpreter/translator in international conferences and also accompanied high dignatories visiting India to various universities, institutions and industrial installations in India. After his retirement, he established ACTIVOS (Multi-lingual People) and covered 250 international conferences as interpreter-translator in India and abroad. Because of his literary pursuits in English, French, Spanish, Italian, Hindi and Urdu, he won laurels as he took part in several poetic symposia (mushairas) in India and abroad. In 1994, he was sponsored by the Indian Council for Cultural Relations (ICCR), New Delhi, to participate in poetic symposia in Medellin and Bogota (Colombia), where he recited his Spanish verses among 70 Spanish-speaking poets to the great applause from the audience. Prof. Bhatia lives in New Delhi, India. His mobile number is 9873357056. Please feel free to post your comments. Alternatively, you may also send emails at neerajbhushansingh@gmail.com and share your concerns or ideas with me. I always take the opportunity to read all and reply to everything. Did you like this blog? Send me your comments, suggestions, etc. please. I am sure people think that he was a non-smoker. But just to share another fact, he always used to smoke in sad moments or when he was hurt by someone. He personally shared this info with me. I just came to know about his unfortunate and sad demise. May God bless his dear and near ones and may his soul rests in peace. Thanks Varun for remembering Prof. Bhatia and writing such beautiful words about him, even when he is no more. I had given his mobile number in this post and readers, visitors and acquaintances would call him and strangers would make friends with him. Wish he was still around to receive the calls. It is so sad to hear about the sad demise of Prof.Bhatia, such a wonderful person and a human being. Feel so sad that we have to live in a world where there is no more Prof.Bhatia. A few drops of tears, from the bottom of the heart with a wish that let his soul rest in peace……….. am sure he must be watching all of us from a distance and of course with that typical smile…….. without that he is incomplete……….. a person who defied everything and everybody, with a brave heart…….. a person, for whom…….. no rules applied………. even at the age, when generally people used to confine to the rooms in their houses……. 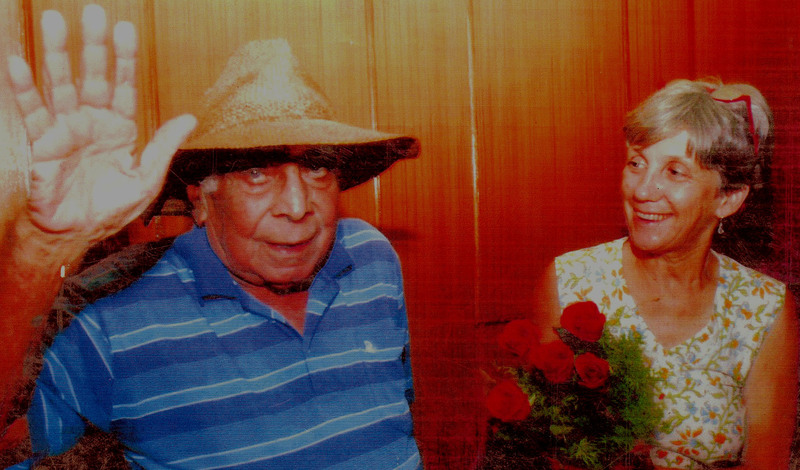 SALUTING YOU, PROF. BHATIA, WITH A HEAVY HEART…….. BY ALL MEANS………. It is with regret that I convey to you all that I received a call this morning from his daughter, informing me of Prof Bhatia’s demise on Monday morning. He was combating cancer which was in advanced stages. Prof.Bhatia and I became acquainted a few years ago and soon became deep friends despite the age difference due to shared interests. We would meet every Saturday or alternate one, when he, on his way to meet his other friends at the Press Club, would stop by my place and pump some life into me with his wit, knowledge, poetry, nostalgia, experiences and, importantly, football discussions. Football was as much a passion with him as Spanish and poetry. To me, he used to narrate from his memories, incidents from his playing days and days in Delhi’s soccer scene. He would make me open this page often and ask me to write something here because he would like to see it and would like his friends to read what I had written about Prof. Bhatia. And then we would carry on with our conversation because time was always precious and outside the room, other waiting people would be becoming restless. But I always used to promise myself that I’d get back home and write a few words about my interactions with Prof.Bhatia and our friendship. Alas! Little did I realize that my procrastination would result in my post here being of such nature. Prof Bhatia was almost 40 years older than I, and the spirit of the man, his optimism, his zest for life always left me awestruck. An inspiring read this. Nice to learn of a man who has not let age get in the way of his quest for knowledge. I hope that kind of determination passes on to coming generations. Oh, yeah! I am seriously thinking of releasing a letter he wrote to a young girl, recently. I would call that a love letter. Let’s see if he approves of it. And, yes thanks for your comments here. Hey Neeraj! It’s really nice to read such beautiful lines about my friend Prof. Bhatia. (Shola Hispanvi). He is such an intelligent person that any praising is not enough to describe him. I know Prof. Bhatia since 1983 and we share a wonderful relationship. One thing I would like to add here, that despite a big age difference between me and Prof. Bhatia, everytime we get so friendly and the atomosphere around us is always so nice which all the more make as very good friends. Neeraj, you are absolutely correct in adding those lines about his taking 3-4 pegs. Even today, I had a nice evening with him and we didn’t forget to cheers with those 3-4 pegs. Raje hasti bata raha hoga. Your writeups are really fantastic, especially those on unsung heroes like Prof. Bhatia who at this age is so active and humorous. I wish Prof. Bhatia a very long life. May he continue to shower his blessings to the journalist fraternity for a long time. It was a matter of great pleasure to read about Prof. Bhatia. Bhatias of Dera Ismail Khan were called Rajay. Unfortunately, partition took away from us our most talented, liberal, educated and beneficial Deraywals. After 60 years of partition, our friends have started tracking down old deraywals. For this purpose, we have created a website http://www.deraywal.com which is still under construction. It will be a great help if you could send us poetry of Prof. Bhatia or give us his contact details so that we could have honour of talking with him. You are welcome Mr. Trikha. I am happy to see the glow on the professor’s face since I wrote on him. Its true delight to sit with him and share his deep love and emotions. Prof, as he is generally known in the press club, is a charmer and many a member has lost out to him on girl friends. He is an inspiration to a youngster like me, since I am still under seventy to be still young at heart though age may be affecting the body. Thanks Neeraj for putting him on the net. Prof. Bhatia is a wonderful human being i have ever met. (Though I meet him everyday almost). As Neeraj rightly said, you can always see him smiling. Imagine at this age, he has trapped all my girl friends 🙂 (joking). God bless Prof. Bhatia. And thanks to Neeraj for such wonderful job done. I appreciate your work on this blog. Thanks to Prof. Bhatia for introducing me to you. I am also a journalist working in Delhi for 20 years and one thing we have in common – I am also from Sainik School (Satara). I met him when I was in 4th class. He is one of my best friends. I met Prof Bhatia 30 years back. Since all these years, I have seen him very closly. He is like father, guide to me. A very loveable person. At this age even, he is as active as 20 years old man. I wish him long life. I am delighted to know that the Professor has got a huge friend following. Thanks for the good words. Indeed, ‘there is no one like Prof. Bhatia in this whole universe, but, Prof. Bhatia.’ Thanks again. Thanks Neeraj for the wonderful piece about Prof.Bhatia. Surprising that we have not met so far, as I too belong to the big gang of friends Prof. has got. I came to know about your page this morning itself. Good job, for a wonderful gentleman like Prof. Bhatia. There is no one like Prof. Bhatia in this whole universe, but, Prof.Bhatia. Hi! I saw and heard this Professor at the India Habitat Centre few months back. I wish him a very very long life. Beautiful story and an angel man that you seem to have enriched yourself in studying him and sharing with all of us. se phir yaadon ki tayari ker lee! That is the essence of “one moment of glorious life is worth an age without a name” in Wordsworth’s words. At least this gentleman has left his contacts lot to be reminded of in life, deed and even after.